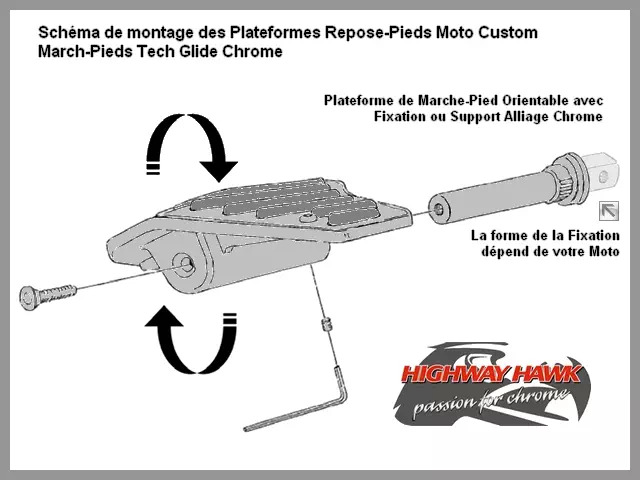 Paire de Marche-Pieds Pilote (Conducteur) Moto Honda Custom (VT 600 750 Shadow, VT 750 DC Spirit C2B Black Spirit C2B Phantom) Highway-Hawk Tech Glide Chrome. 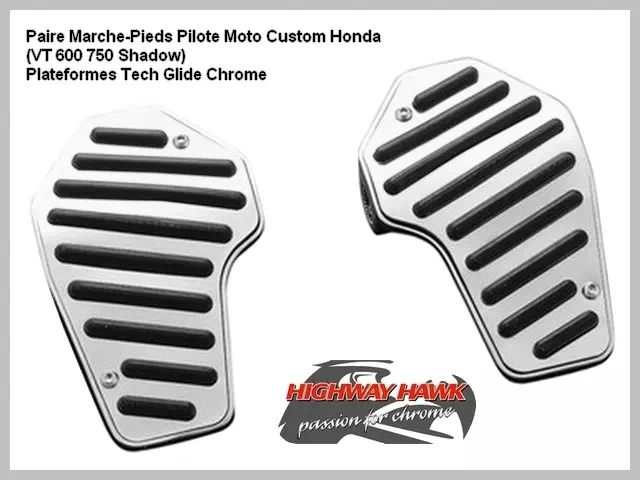 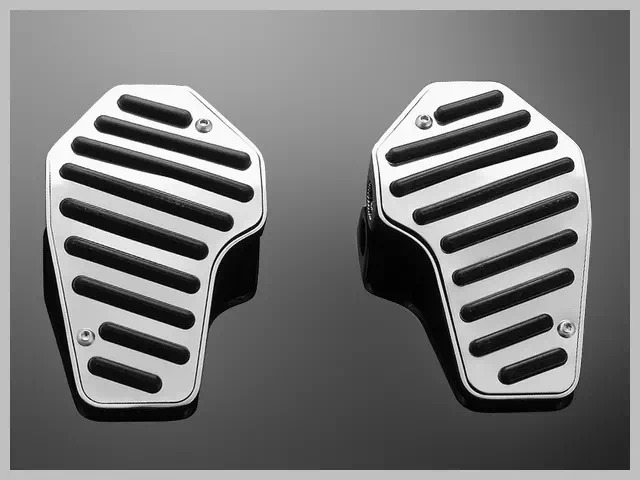 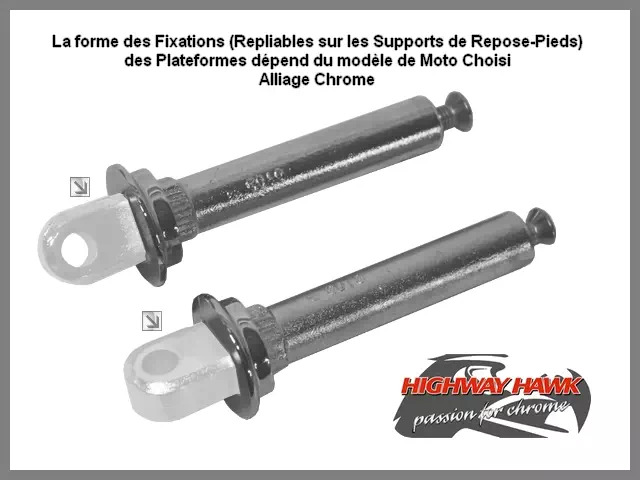 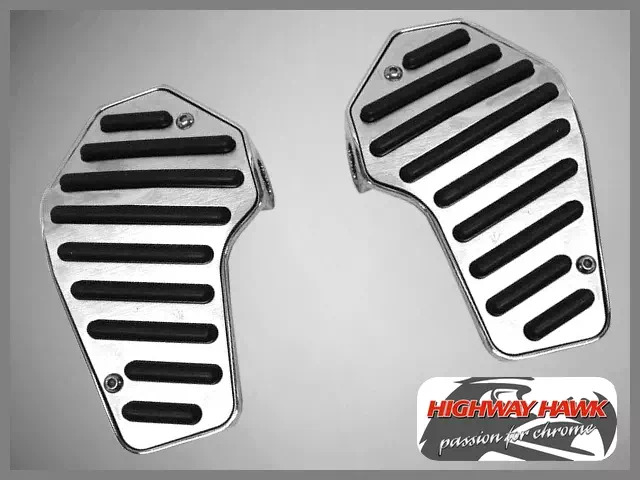 Paire de Marche-Pieds Pilote Tech Glide Chrome Honda VT 750 C2B Phantom 2010-up. 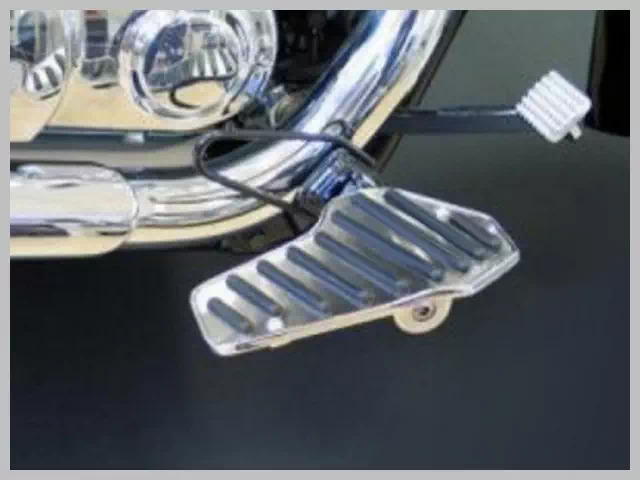 - Épaisseur Plateau de Marche-Pied Honda Custom : 3 mm. 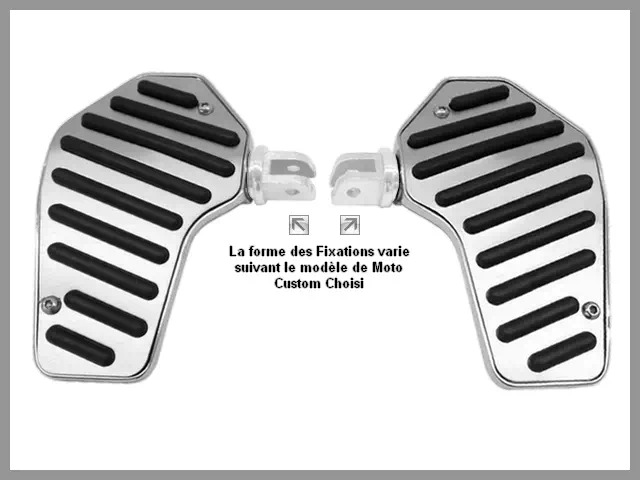 Paire Marche-Pieds Pilote Honda Custom (VT 600 Shadow 1999-up, 600 VLX 1999-up, VT 750 C2 Ace 1997-2002, VT 750 C Shadow Aero 2004-up, VT 750 C4 Shadow 2004, VT 750 C5 Shadow 2005, VT 750 C6 Shadow 2006, VT 750 C Shadow 2007-up, VT 750 DC Spirit 2007-up, VT 750 C2B Black Spirit 2010-up, VT 750 C2B Phantom 2010-up) Highway-Hawk Tech Glide Chrome. 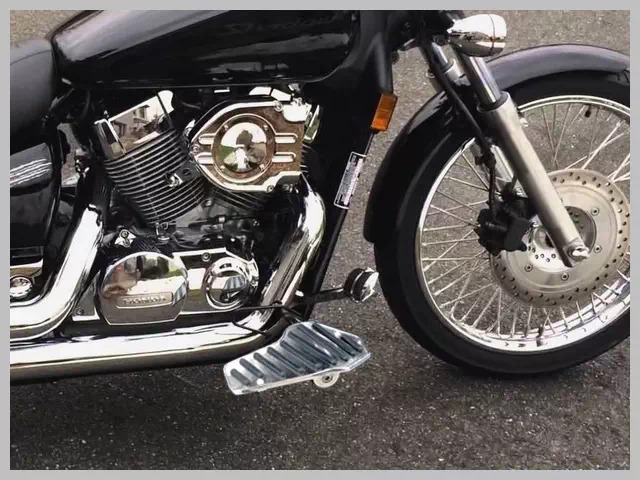 Motocyclette Honda : Custom, Bobber, Touring, Big-Bike, Vintage, Cruiser, Relooking, Café-Racer, Bagger, Chopper, Préparation, Etc. 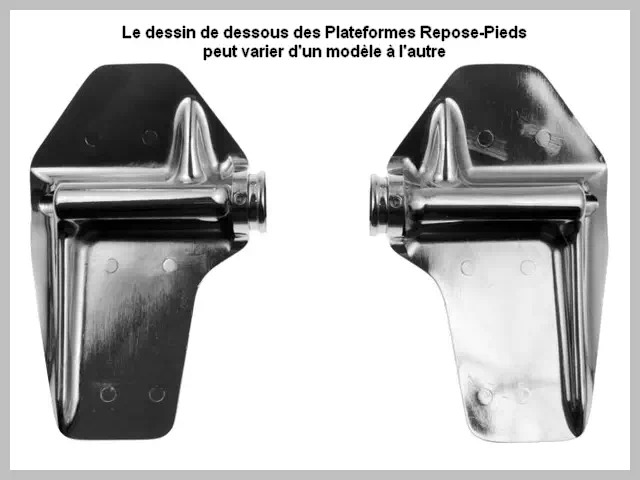 Plateformes pour Pilotage (Conducteur) de Moto Custom Honda - Fixation à la place de vos Repose-Pieds Avants Origine Honda (Vendus avec Fixations). 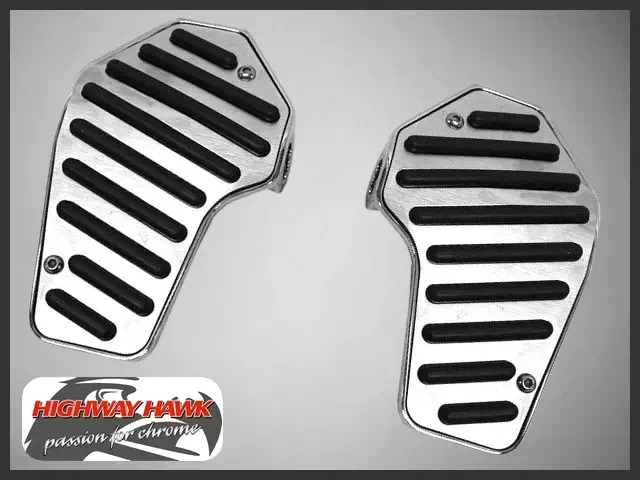 VT 600 Shadow 1999-up, 600 VLX 1999-up, VT 750 C2 Ace 1997-2002, VT 750 C Shadow Aero 2004-up, VT 750 C4 Shadow 2004, VT 750 C5 Shadow 2005, VT 750 C6 Shadow 2006, VT 750 C Shadow 2007-up, VT 750 DC Spirit 2007-up, VT 750 C2B Black Spirit 2010-up, VT 750 C2B Phantom 2010-up.